We provide reliable hosting for over 200,000 websites! We offer shared hosting, managed VPS, servers (VPS), SSL certificates and domains with guaranteed quality and professional 24/7 support. Start building your own online store, quick and easy, with a minimum investment and no technical skills. Sell your products online with Shopiko. Choose your perfect domain name! We offer more than 300 different TLDs. Start a domain search now. Everything for your WordPress website in one place - easy management, overall security, additional speed up and more! Virtual server (VPS) offers comprehensive access to a dedicated virtual server with guaranteed service. With Managed VPS you get a server with cPanel, 24/7 support, guaranteed dedicated virtual resources, 24/7 live monitoring service and regular backups. Fundamental security component of any online store. Personal information or online payments are safeguarded in transit between the web server and the browser. With a dedicated server you get comprehensive access to a physically separate server and complete control over its hardware resources. Transfer your domain to SuperHosting.BG! We can also transfer your existing website content from another host. Manage all your services in one place! Get a promo code for Google Ads, select your ad audience and elevate your site to the top of the list. It's great to find out how satisfied your customers are with your work! We have many reasons to celebrate success and we are proud that the media chooses to often cover our events. We have been in the area of web business for a long time and we always strive to provide good quality services. Our clients require it. Our name requires it. The creation of a website is only one part of its life. Another important part is its hosting. This is why we prefer to rely only on professionals. And SuperHosting.BG are such professionals. 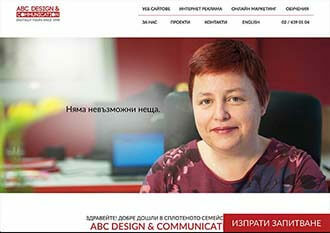 On behalf of ABC Design and Communication team we would like to express our satisfaction to work with SuperHosting.BG. We have been in the area of web business for a long time and we always strive to provide good quality services. Our clients require it. Our name requires it. 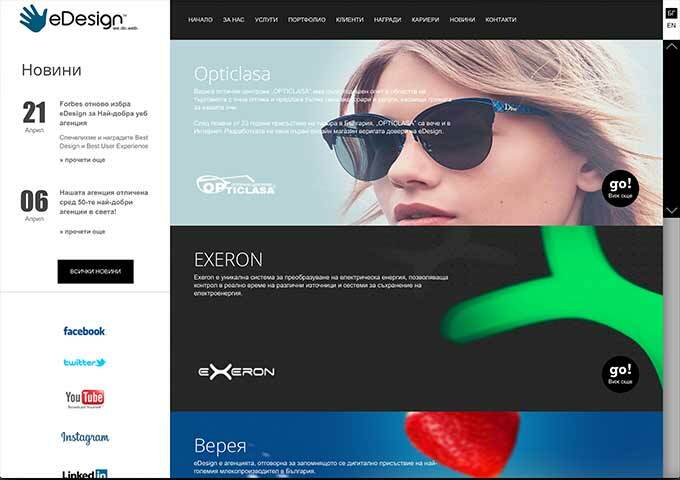 The creation of a website is only one part of its life. Another important part is its hosting. This is why we prefer to rely only on professionals. And SuperHosting.BG are such professionals. I would like to congratulate you for the quality service you offer. Our working process at Calipers requires a reliable hosting partner. It turns out that we have found such in you. I am delighted from the quickness, attitude and the quality service system, which you have. I wish you many Super Accomplishments! We have been a client of SuperHosting.BG for several years and we would like to say that they have been very cooperative and helpful the whole time. What we appreciate the most is the exceptional quality of both their services and customer support. We are humbled to have been working with a company so committed to our mutual success. We have been a client of SuperHosting.BG for several years and we would like to say that they have been very cooperative and helpful the whole time. What we appreciate the most is the exceptional quality of both their services and customer support. We are humbled to have been working with a company so committed to our mutual success. I would like to recommend them to anyone who values his time and appreciates quality. * We will gladly refund money you have spent on our hosting services. Once you’ve registered a domain, we’re unable to offer a refund, however, you retain full rights over your domain. Upgrading the services for our SuperCustomers is a continuous process. At the beginning of 2016 we integrated an entirely new platform for offering hosting services as we announced it during the summer of the same year. About a year later, 60% of our customers’ websites have already been migrated to the new hosting platform. WordPress Manager is no longer "beta"! The new stable version 1.1 is already available in cPanel. Get more advantages with one-click installer, with a wide range of themes, super fast Let's Encrypt configuration and more improvements! For our customers the only difference will be the domain transfer prohibition for 60 days after contact details change. The year has just started and we are ready with our first surprise for you – a new version of our Backup Manager. Now the new features allow you not only to point a directory and a database, but also to choose backup date (available in the calendar) from when you would like to recover information. And more! * The price is valid for new service orders, for a 12 month period. Additional discounts are available for periods, longer than 12 months.